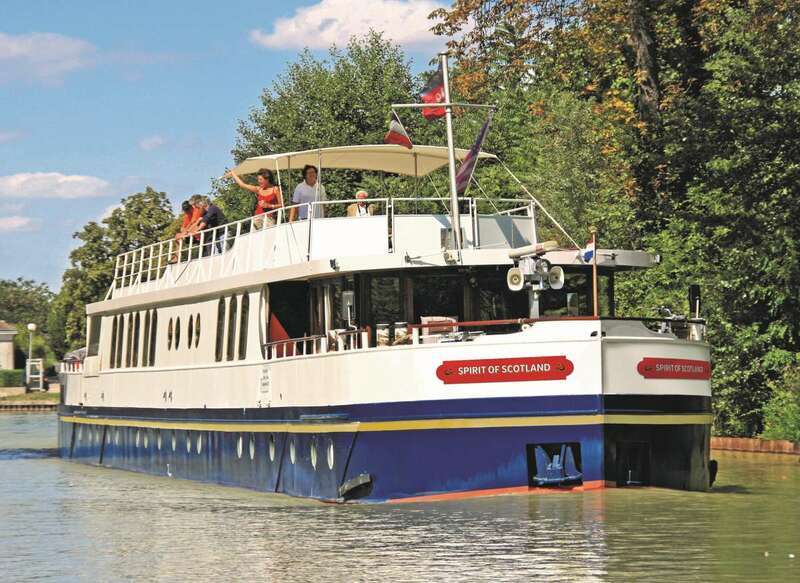 The 12-passenger hotel barge ‘Spirit of Scotland’ will join the European Waterways’ fleet in June this year and cruise through the Scottish Highlands. Cruising the Caledonian Canal and the lochs of the Great Glen, the 6-night itineraries will appeal to individual travellers, or to family charters and special interest groups, such as golfers, walkers, foodies, or whisky connoisseurs. The journey from Banavie to Muirtown, or vice versa, will include escorted tours to the Glen Ord whisky distillery; the ancient castles of Eilean Donan and Macbeth’s seat of Cawdor; and the Culloden Moor battlefield. The Spirit of Scotland’s interior features spacious saloon and dining areas, with picture windows; separate bar; and six double, or twin-bedded, air-conditioned, en-suite staterooms. Outside there is an aft deck with a covered dining terrace and heated spa pool plus a full-length upper sun deck. Guests can select from a selection of single malt whiskies, fine wines to complement regional Scottish cuisine, prepared for lunch and dinner by the onboard chef. Six-night cruise-only fares start from £2,790 per person in a twin/double cabin; and from £31,000 for a full, 12-passenger charter. The fully-crewed, 6-night cruise fares include: all gourmet meals, fine wines, open bar, daily escorted excursions, admissions and local transfers. Visit gobarging.com for more information.